Jennifer Young's Ambrosia collection is a breath of fresh summer air! 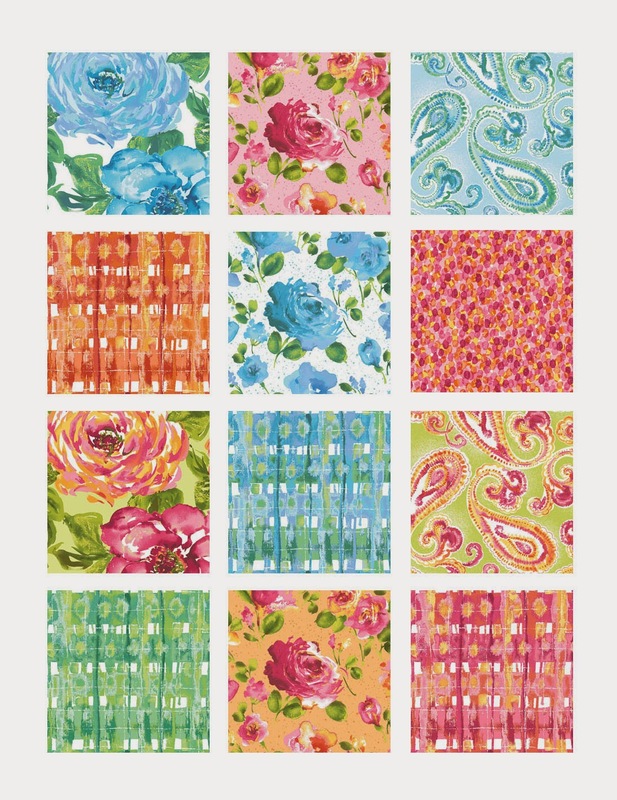 These gorgeous florals, complimented by paisleys, dots, and a unique plaid, come in a blue and seafoam colorway and a lime, rose and peach colorway. See the Ambrosia collection here. I can't make up my mind.... They are both great colorways. I would make Wendy's Garden View. I love that little quilt and I would make one a teensy bit smaller so it would fit on my mom and dad's front door. They are moving into a retirement condo (Erickson's Ashby Ponds) on Monday. They are both 91. I can't wait for them to finally move into a safe place. I love everything Wendy designs, and this fabric is calling me. I think I like the lime, rose and peach colorway better. I love the Ambrosia Star quilt! 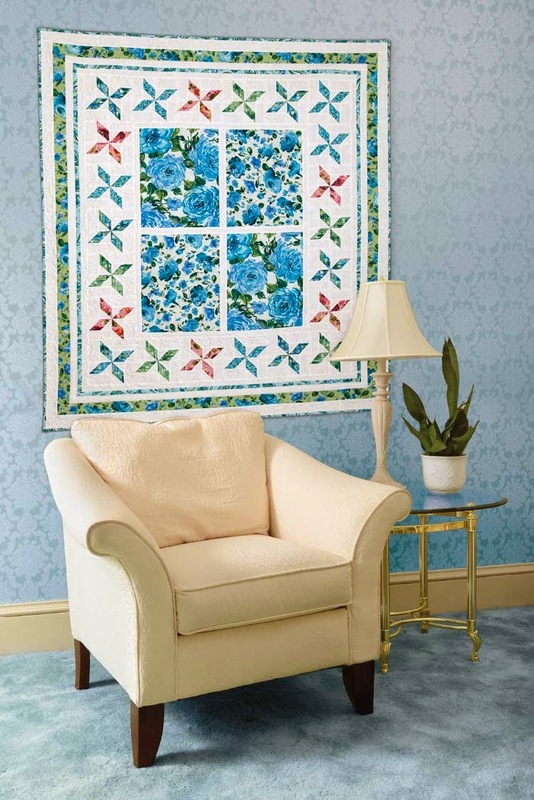 I love those blues, and that Garden View quilt would look awesome in my bedroom if I had enough wall space to display it! Gorgeous fabric. Garden vuiew. Would look cery nic etat my płace Togo.